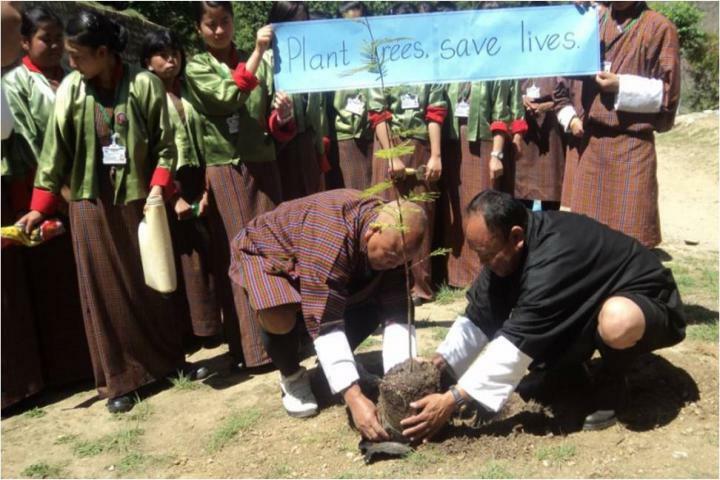 On June 2, Mr. Pema Gyalpo introduced the concept of CFP in Khasadrapch Middle Secondary School coinciding with the annual Celebration of Coronation Day of the Fourth King of Bhutan, His Majesty Jigme Singye Wangchuck and Social Forestry day. In partnership with the School Principal, Mr. 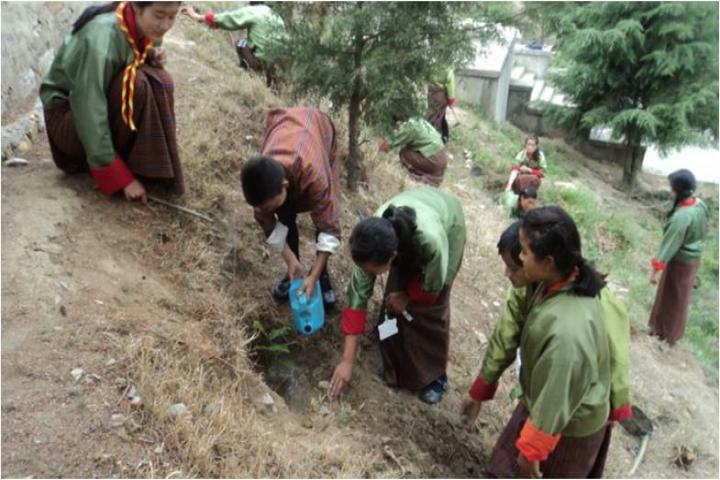 Karma Samphel, the school children have managed to plant in the school compound a total of 130 saplings of oak, blue pines, Accacia dealbata, Cyperus altenifolius and camellia tree. The organizers and the participants are hoping that the planted saplings could help in improving the aesthetic appearance of the school compound a well as saving thousands of lives in the years to come. 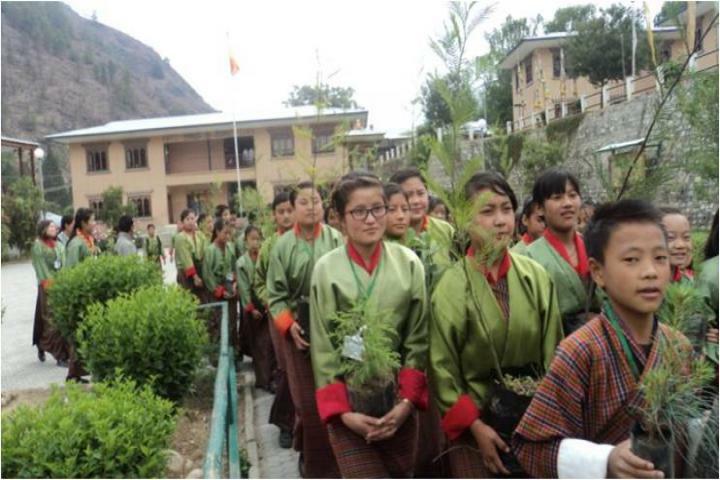 The Khasadrapch Middle Secondary School is under Mewang Block in Thimphu District and is located in elevation of 2,150 meters above level and 18 km from Bhutan`s capital. The actual tree planting activity involving the school children. Mr. Pema Gyalpo and Mr. Karma Samphel demonstrating the proper way of planting among the students.